Once upon a time, back in the 4th generation of games consoles, Sega and Nintendo were fighting a head to head hardware battle. 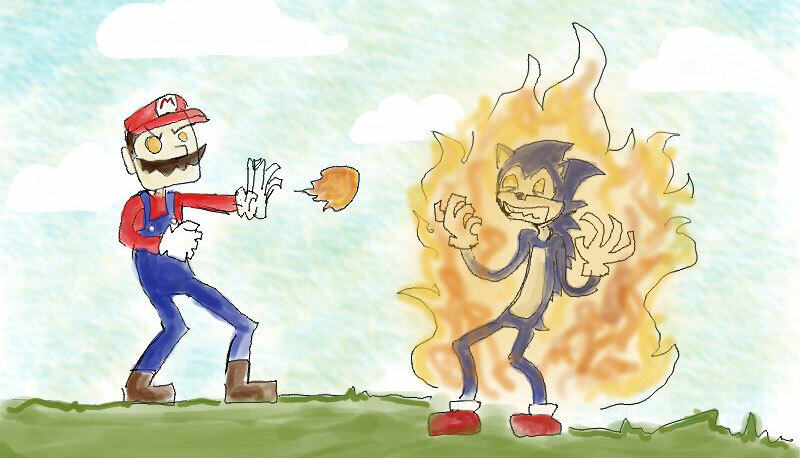 It was the Genesis versus the SNES, and Sonic and Mario were the kings of cartridge. Nintendo did what they do best: Nintendo. The beating heart of their inimitable style is and always will be Mario. As relative newcomers to the industry Sega made the Genesis the ‘cooler’ option, with the help of Sonic. Like the hedgehog, it was slick, it was faster and (most importantly) it had Blast Processing. And so gaming’s greatest rivalry was born. Good times, even better games. But what happened next? Together with their mascot, Nintendo sold millions of games worldwide, stacking the papers high and earning critical acclaim. Mario is Nintendo's cash-cow and the cornerstone of their sustained presence and good form in the gaming industry. Technology has evolved and so has the plumber. As well as defining a unique style of 3D platforming in monster hits such as Mario 64 and Super Mario Galaxy 2, Nintendo has made a successful return to the Mario’s 2D roots with New Super Mario Bros Wii. Still riding high in the charts, NSMB has sold over 15 million copies worldwide since release. It's a work of undisputed genius and is arguably the best multiplayer platformer of all time. 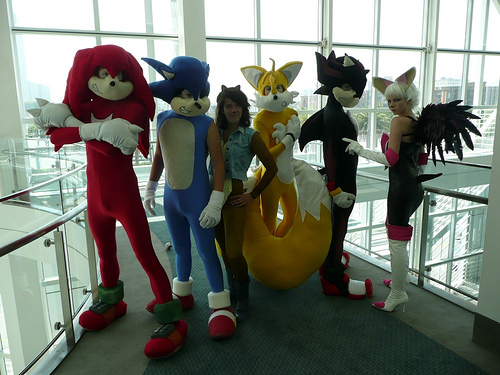 Sega must look over at Nintendo and Mario with envy, because all they have managed with Sonic is a catalogue of sub-par titles and a loyal furry fanbase. The unfortunate reality is that, despite quantity, every Sonic game since Sonic and Knuckles has been of questionable quality. Whenever a new Sonic game is reported to be in development it is always to the tune of hype and excitement. It’s only natural; Sonic is a boyhood hero of millions. But when the games are released it always ends in tears. This is a phenomena observed by hedgehog fans as the ‘Sonic Cycle’. Now you’ve had some time to study the sonic cycle you'll realize that it ends the same way every time. Consistent "massive disappointment" means fans have lost faith in the franchise. Now they get skeptical rather than excited. Does Sega care? Maybe they don’t. But the game playing public has been asking for this game ever since the day they realised Sega couldn’t do Sonic in 3D. Even Sonic's first 3D adventure, Sonic 3D, totally sucked. 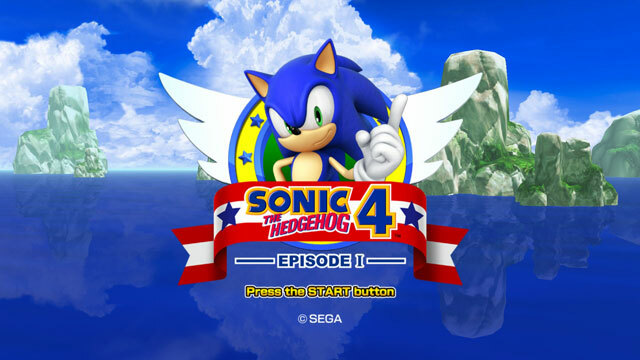 Well, Sega has finally obliged, welcome to Sonic 4 episode 1. I tried to enter up, down, left, right, A + start... but there's no start on a wiimote. 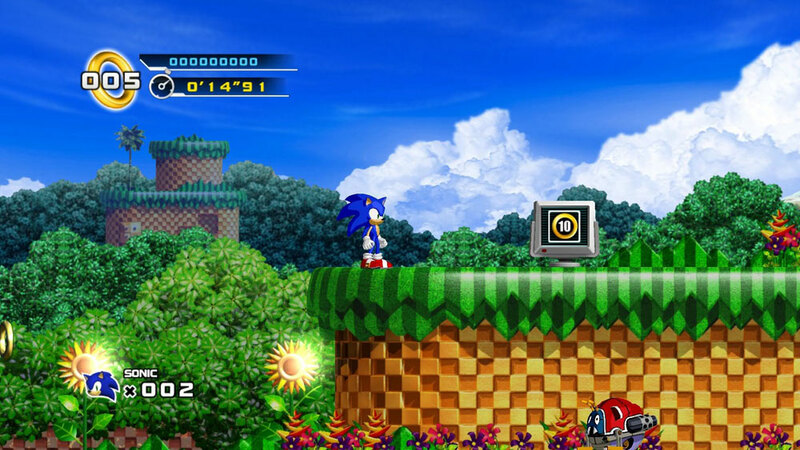 All Sonic games start with their own version of the now iconic ‘Green Hill Zone’. Sonic 4 is no different, kicking off with ‘Splash Hill Zone’. This environment remains the hedgehog's natural habitat. It looks and acts like Sonic 2’s Emerald Hill Zone, spiral bridges and all... apart from that, there isn’t a lot to say about Splash Hill Zone. For this reason, and because you’ll want to savour it for yourself, I’ll leave you to make your own mind up about this dubious opener. You've probably heard about the homing attack. When you jump any nearby objects or enemies will be highlighted by a target, press jump again and Sonic will make a mid-air dash towards them. It makes general play way too easy. When dealing with enemies, it virtually elminiates the need for any timing or judgement. This is most apparent in certain boss fights, where it makes things too easy. Although there are many sequences where the homing attack is fun to use, it is potentially a game-breaker. Stylistically, the character animation lacks the necessary depth. When Sonic starts to run, his legs do not rotate faster as he gathers speed. This is a basic error that needs to be corrected. ... well, nothing really needs to be said. Except maybe that new Sonic is wearing what can only be described as high heels. HIGH HEELS people. 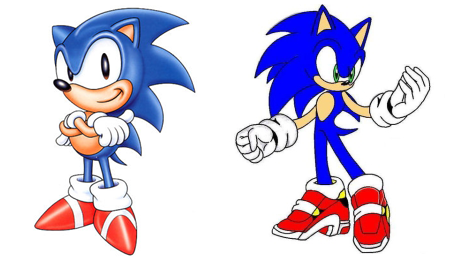 Sega must really want his legs to look longer. Sonic 4 adopts a world map system, so once you’re done with Splash Hill Zone you can choose where to play next. I like world maps, but not in Sonic. The set menu style of the previous Genesis games always seemed to deliver, the different pace and style of each zone when placed in the correct order built you up to the challenging final levels. With this world map you can jump right to what should be the final zone of this episode, Mad Gear Zone. You can even chose which act to play first. By allowing players this freedom the game narrative loses the suspense which was crucial to the success of best Sonic titles. So in this spirit, I’ll talk about Mad Gear Zone next. Sonic 2's Metropolis Zone is a fan favorite. 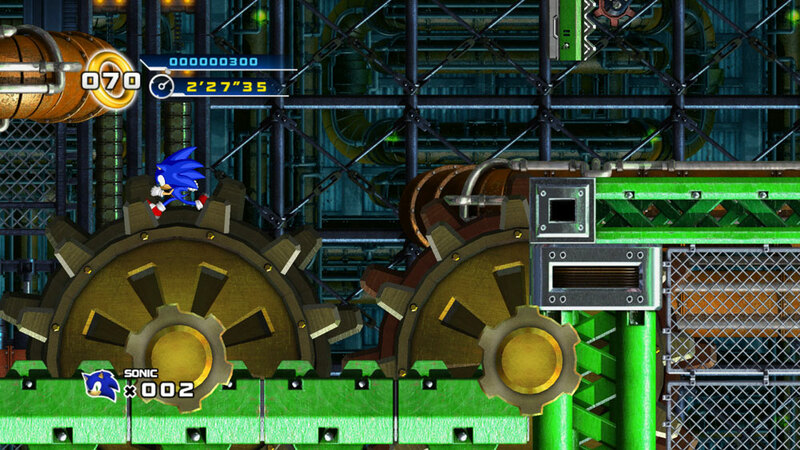 Mad Gear Zone is probably the biggest challenge in Sonic 4. The pace is fast, the badniks are tough and it’s tricky to avoid the bottomless pits which are introduced without warning. This zone in particular requires players to use the new homing attack precisely in order to progress. Timing and patience are essential, failure means instant death. 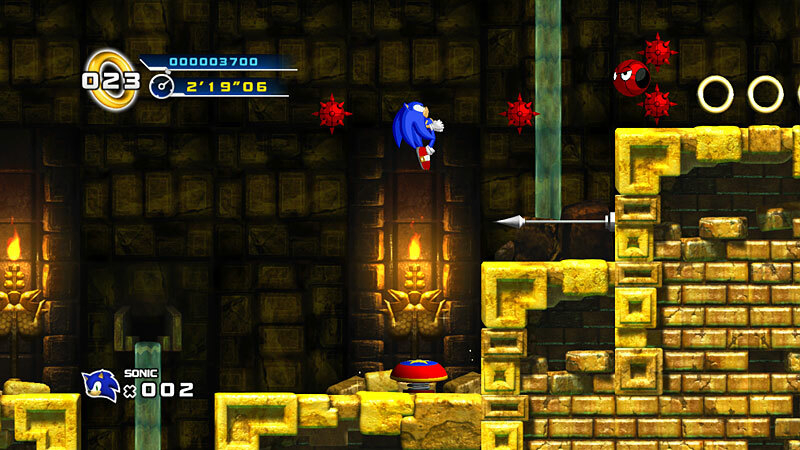 If the execution of this zone was better, the overt lack of imagination from Sonic Team would be forgivable. In fact, EVERY ZONE in Sonic 4 Episode 1 borrows from a previous Sonic game. Even the special stages. And the final boss battle. Ok, we always expect a Green Hill Zone re-hash and a casino level, but to have no new or unique environments is a crime. I’m well aware of the ‘Nostalgia Level’ concept, but this is ridiculous. Why the need to base all the level design on classic zones? Yes, Sonic fans asked to return to the old school gameplay - but we want new adventures, not old ones. I’ve read a lot of complaints about this zone. Complaints that it’s a re-incarnation of the “worst zone” of the original game: Labyrinth Zone, complaints of sudden unannounced bottomless pits and a lack of underwater air bubbles, but the zone is actually good. I know Sonic is at his best when hes powering through long, fast levels but the beauty of other platformers is jumping onto platforms. Lost Labyrinth Zone definitely needs you to slow down and enjoy the challenge of navigating tricky floating platform rooms using timing and finesse. At other times though, you do need to be quick. There’s a great speed power-up enabled chase section in Act 2, as well as fun (if slightly embarrassing) mine cart sequences and some challenging minigames which show a lot of thought from Sonic team. In fact, this zone is only let down by a badly executed boss fight which is let down by the lack of a checkpoint (if you fail during the boss you must restart from the bottom of a water level). At times though, Lost Labyrinth Zone is as smooth as butter and a blast to play. In a platformer, the level is your playground. You should want to stomp every goomba, search every box and find every secret. This zone invites you to do that, rather than just powering to the end because you can. I’m not ashamed to reveal that there is a final final zone which is initially hidden from the world map. Sorry if this revelation spoils the game, but you won’t care after you’ve played it because it’s terrible. The climax of the game, it's essentially a re-hash of each preceding boss battle, one after the other in ascending difficulty followed by an all-too-average version of Sonic 2’s classic ‘Death Egg’ boss battle. This is a good game, but it is rough around the edges. The world map, the music, the character animation... and I’ve got some serious reservations about the color palette - it’s far too luminous. 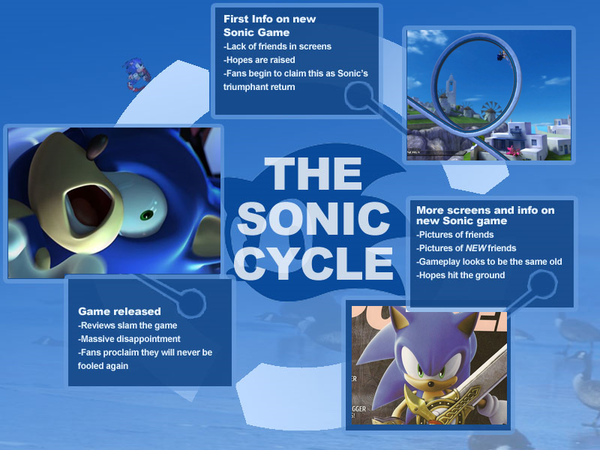 Does this game break the ‘Sonic Cycle’? Let’s make that judgement once we get all the episodes. Can’t wait until then? Check out Sonic Fan Remix.